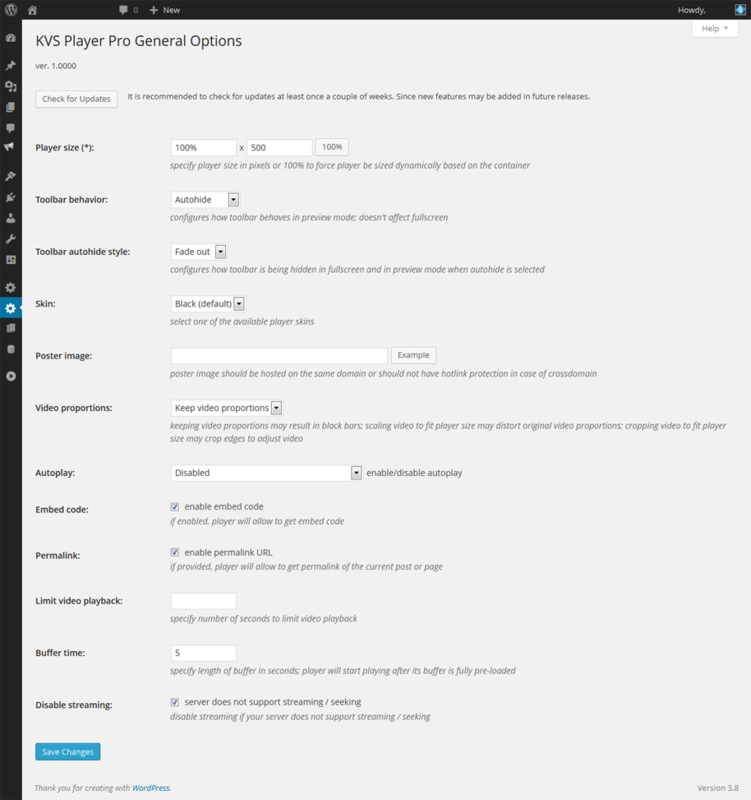 The KVS Player Pro plugin allows you to embed streaming videos into WordPress-powered sites, using the famous Kernel Video Player by Kernel Video Sharing team. The player supports many advertising slots: pre-roll and post-roll ads, on-pause and on-stop ads, floating ads and more. The Kernel Video Player is absolutely free to use for any purposes! Advertising on initialization (HTML layer displayed on top of player). Pre-roll advertising (HTML / video / image) with limitable duration and customizable click URL. Post-roll advertising (HTML / video / image) with limitable duration and customizable click URL. On-pause advertising (HTML / image) with customizable click URL. Customizable click URL for the video display area. Advertising image on player mouse over. As many flash floating banners as you need. Banners can appear from 4 different sides. 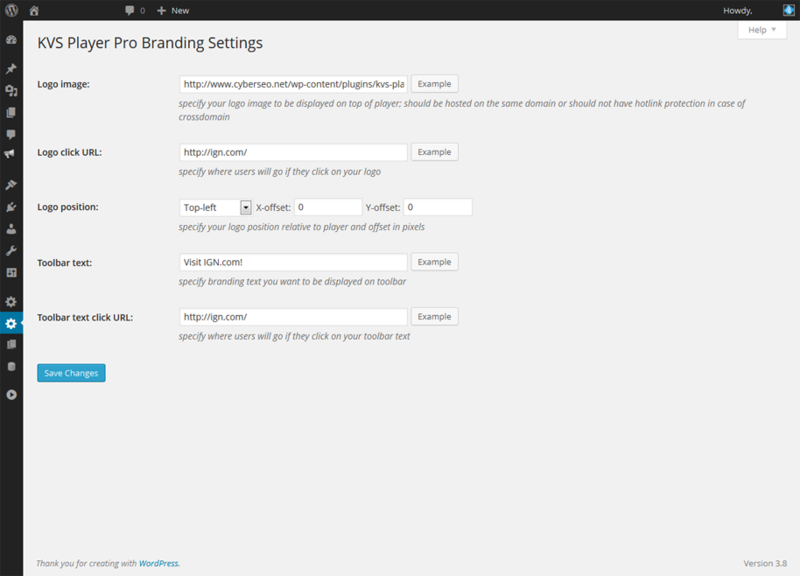 A short text and click URL can be displayed on the player control bar. Flash Default. Works for most desktop devices. Browser supports Flash. Native video Plain link to MP4 file. Works for most of mobile devices. (a) Browser doesn’t support Flash. (b) Video is encoded in MP4 format. (c) Browser doesn’t support playing MP4 format. Important! HTML5 / Native modes will be used only with MP4 files. All modern mobile devices do support MP4 format. mlogo_link (optional) – allows one to specify where users will go if they click on your toolbar text. Buy the KVS Player Pro plugin unlimited domain license for only $29.95! Please make sure to enter the correct email. It will be used for sending you the download info and for notification about new releases and services. If you won’t receive the download and activation info within 24 hours, check your email spam box. If the email is there, please make sure to mark it as “not spam”. 2Checkout.com Inc. (Ohio, USA) is a payment facilitator for goods and services provided by CyberSEO.